Granny Goose® has been producing quality snacks since 1946 and is committed to creating fun and wholesome snacks for all occasions. 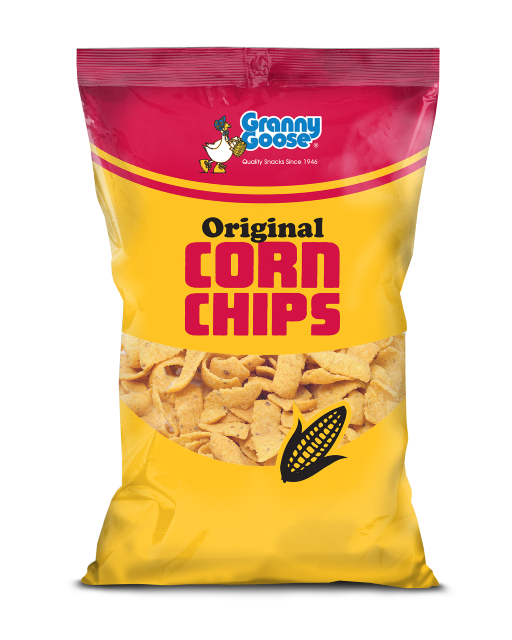 Granny Goose® Corn Chips are great with your favorite dips or straight from the bag. They don’t have Hydrogenated Oils and have 0g Trans Fat per serving. Share some Granny Goose® Corn Chips with friends and family as a fun, delicious snack, anytime. See nutritional facts for total fat and sodium content.